A cardiologist is a physician of the heart, that fist-sized muscle which is responsible for supplying blood to all parts of your body. There are many types of diseases and disorders of the heart. High blood pressure, coronary artery disease, atrial fibrillation, to say the least. And statistics say that more than 1 out of every 4 americans die in the United States of heart disease. 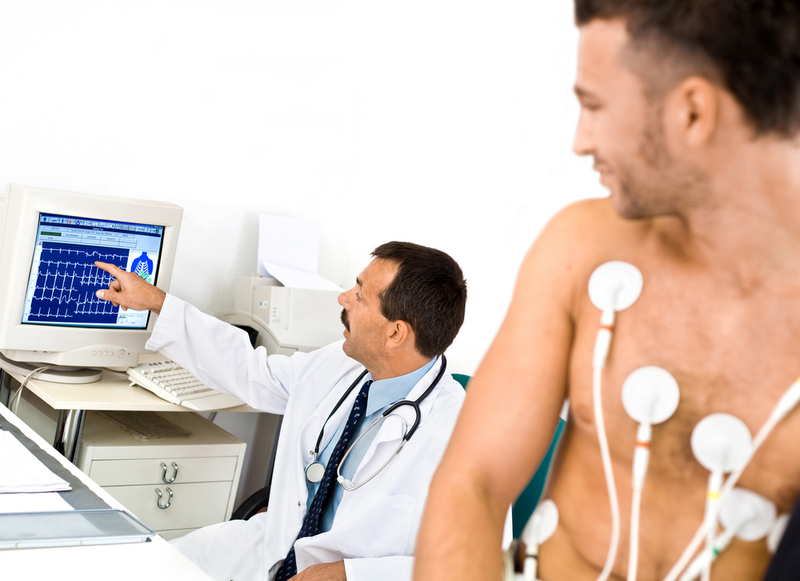 Beyond your typical office visit, cardiologists can interpret specialized tests such as echocardiograms, EKGs, and stress tests. They can also sub-specialize in multiple areas. For example, interventional cardiology involves cardiologists who perform cardiac catheterizations and transesophageal echocardiograms. Just how much do cardiologists make? The median reporting salary for a cardiologist is $308,621. After residency and fellowship, starting cardiologists can make $268,000. Although, most cardiologists report making between $257,024 and $369,422. The highest reporting salary for a non-interventional cardiologist is $599,000! 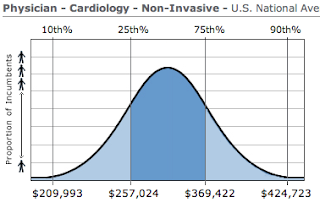 If you sub-specialize in invasive or interventional cardiology, you can make $400,000 with a gigantic max of $800,000! Cardiologists are physicians with a minimum of 6 years of residency training. If you sub-specialize, ie: interventional cardiology or electrophysiology, tack on another year. The typical pathway to cardiology is doing 3 years of an internal medicine residency followed by 3 years of a cardiology fellowship. Currently there are 187 cardiology programs and 136 interventional cardiology programs so competition is stiff. Many of these programs are divided with a 50/50 or 70/30 ratio of clinical training to conducting research. Cardiologists are specialists of the heart and trained to diagnose, treat, and manage all disorders related to it. In addition to those functions, they are licensed to interpret special cardiac tests (another money maker). Their earning potential is very large but the training will set you back 3-4 years after a typical residency. The heart is a fascinating organ and vital to life. And in my country, this field is one of the most respected by all medical professionals and patients alike. If you enjoy the heart, physiology, and rhythm strips, consider this field to see if it suits you. This is a pretty awesome blog! Keep it up. it will be a great resource once you’re finished with the other specialities! I’m curious to see what you have to say about child neurologists… that’s the specialty I’m looking to get into. thanks andrea! i’ll be sure to give a shout out to child neurology when i see it. Could you please let me know the salary of an electrophysiologist and if possible can you please put up a bell shaped curve? Thanks, would really appreciate it. House, I was unable to find a bell curve for you. But I was able to find some figures. The ranges for an electrophysiology physician salary is between 200-500k not including benefits! Hope that helps! Good luck!